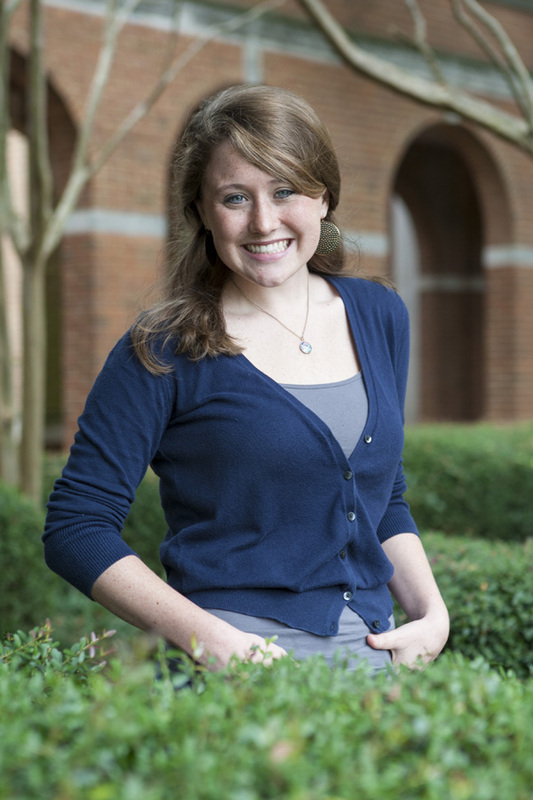 Student Government Association President Laura Ann Prickett has exciting plans for Samford University in 2015-16. Prickett, a senior political science and English double major from Decatur, Ala., said she would love to see the student body engage more with the community outside the Samford gates. “Most of everything I hope we accomplish this year will surround that,” Prickett said. This idea, along with many others, took root long before Prickett began hanging campaign posters. Her experiences with Senate, University Fellows and the Global Engagement Office, to name a few, have allowed her to form relationships with an array of Samford students. Prickett believes these relationships opened her eyes to what students want and how she can help turn these desires into realities. Recently, a conversation with Philip Kimrey, vice president for student affairs and enrollment management, ignited an idea in Prickett’s mind. “He made the comment that SGA has done a really good job of being about events, but he wants our student leaders and our student body to engage more with issues and ideas,” Prickett said. Prickett is only the ninth woman since 1980 to serve as SGA president, although female students hold multiple positions on the SGA Student Executive Board (SEB) every year. When asked about the significance of this, Prickett stressed how important it is for women to be involved and seek out leadership roles, not only at Samford but also in society as a whole. As the first day of classes draws near, perhaps the thing Prickett is most looking forward to is working with her fellow SEB members. Corry Mulligan is a journalism and mass communication major and a news and feature writer in the Office of Marketing and Communication.